Are you an Indigenous Artist? Join the Movement! The intent of the Authentic Indigenous Arts movement is to support the protection of Indigenous art forms and practices in partnership with Indigenous artists and communities across BC. We believe that consumers / buyers should be provided with information that will help them to make informed choices when buying products that carry Indigenous designs or themes. Authentic Indigenous Arts will help to provide some distinction between works by establishing Authentic Indigenous tag system. Your Artist Profile will be added to our website, featuring your work & contact info. Your Artist Profile will be accessible to entirely new networks & international audiences. You will receive Authentic Indigenous tags for your products, free of charge. You can receive email notifications to let you know about updates on the website (i.e. workshops, grant notifications, other arts opportunities). We invite Indigenous artists in BC to register on our website, and become part of the movement that makes a positive change in the way our Indigenous arts and crafts sector operates now, and into the future! Are you a seller? Give your customers what they want! Authentic Indigenous labels make it easy for your customers to find what they're looking for – authentic Indigenous artworks. As an art gallery, gift shop or retail store that sells Aboriginal art and craft works, you can easily register with us. Your store will be listed on our Authentic Indigenous website as a participating retailer. Customers will be able to connect with you directly for their purchases of Authentic Indigenous labeled products. You will receive email updates (if you choose) about upcoming special Aboriginal arts events, workshops, and new artist listings. If 30% or more of your store's Aboriginal-themed products are labeled as Authentic Indigenous, we will also add you to our list of ‘recommended' retailers. This list will be distributed to corporate and other larger organizations that wish to purchase Authentic Indigenous labeled products in larger quantities for their gifting programs. The Authentic Indigenous tag is the buyer's assurance of authenticity. Authentic Indigenous TagIt makes it easy for buyers to see your work and make informed decisions about the products they buy. 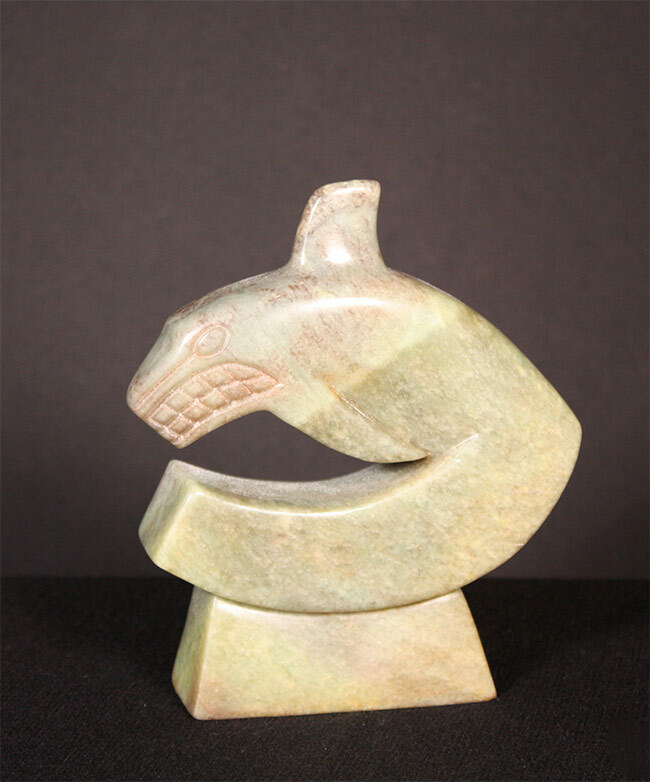 Each tier ensures that an Indigenous artist is the source of the original design, and has given full approval for the final product. If you are an Indigenous artist, currently residing in British Columbia, Canada, registering on the Authentic Indigenous website is easy. It takes about 10 minutes, and even quicker if you already have an artist statement and artist biography to copy and paste into the form. Once you complete the form, our staff will review it before adding to the website. If there are any questions, a staff member will email you for clarifications. Please checkout our FAQ page for more information.